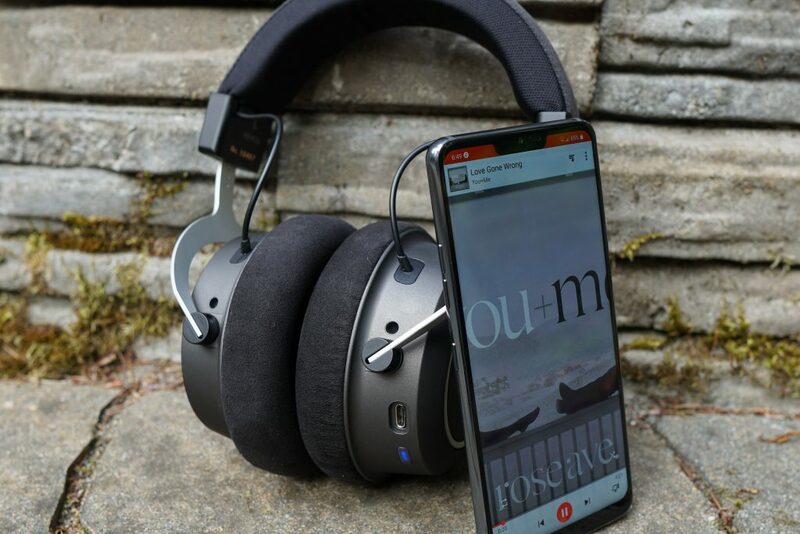 The aptX HD enabled Amiron Wireless and LG G7 are perfect match. A bit ago, we looked at a new initiative by the high-end headphone maker, Beyerdynamic. Its lack of wireless options began to be addressed with the Aventho Wireless, which we deemed a thoroughly premium and well-performing on-ear. But a hole was left for folks who prefer the over-ear flavor. That’s now filled with the new Amiron Wireless. We’re a little thrown off by the naming convention, having expected the “Aventho” name to become the company’s new wireless series. Maybe the fact that they both start with the letter “A” shows implies some relation. Similarly, the headphones don’t share much in the way of design, but can still be considered brothers. Anyway, with the Amiron’s considerable price tag pitting it for the wireless headphone top spot, we’re most interested in if it can deliver. Let’s find out. Portability is inherent in wireless tech, and therefore, such headphones make an extra effort to be compact and lightweight. The Amiron, on the other hand, didn’t get the memo. 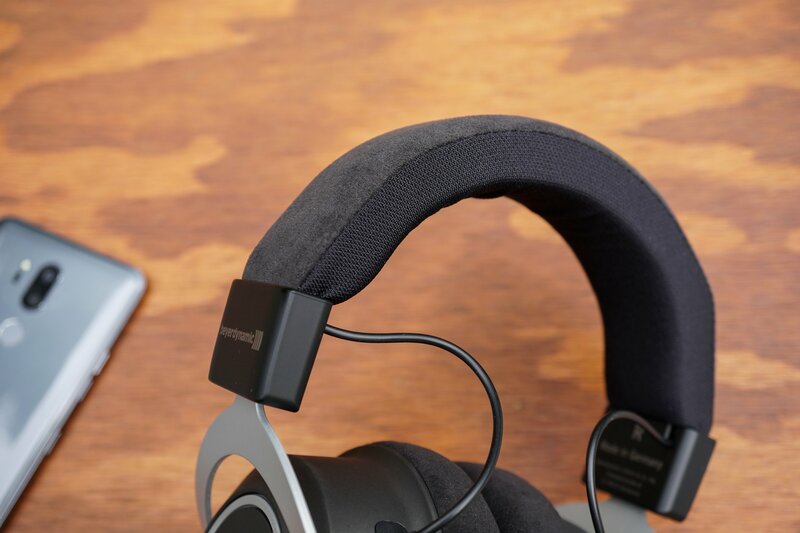 Its footprint is burly like that of Beyerdynamic’s classic over-ear headphones. We’re talking about imposingly-sized ear cups/pads, thick headband, and maybe what will be of most contention, no fold-ability. You’ll see a consequence of that last point when you pull the product out of the box. 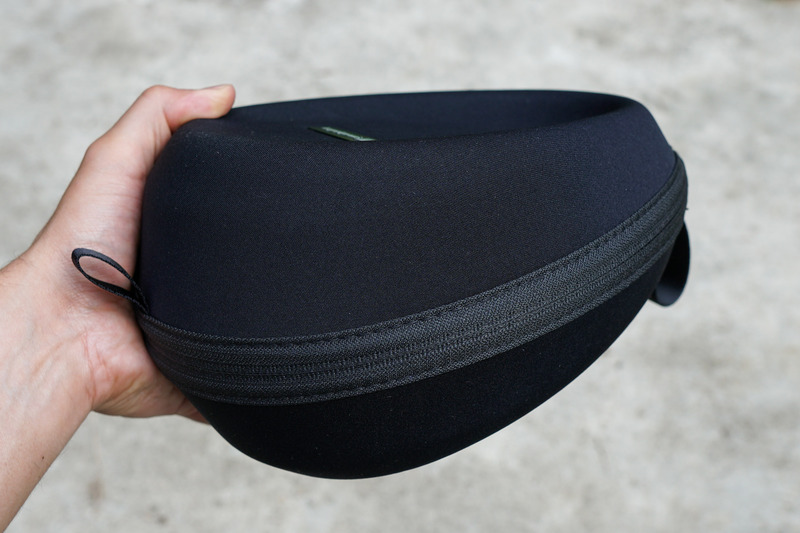 The carrying case supplied with it is bulkier than we imagine most users would want to commute with. The more we tour the Amiron, the more we believe Beyerdynamic’s purpose for them was in-home or in-office listening, rather than on-the-go. This is evident from its stout 380 g weight as well. Beyerdynamic’s hard, zipper case is constructed well but imposing. Beyerdynamic owns the fact when it comes to design. It feels as brawny and sturdily constructed from every angle. Although, the materials aren’t quite what we’d expect from a $700 headphone. Except for the metal ear cup stems, we feel plastic throughout. Granted, it’s a very slick, smooth, and sophisticatedly finished plastic (ceramic-like in feel). But it’s still apparently hard plastic, and the structural elements, like the stem hinges and headband caps, have the slight plastic-y creak to them. We aren’t doubting that they’ll stand the test of time; this is more of an evaluation of the “premium” aesthetic of an expensive device. The headphone’s exterior features bunched on the right ear cup. As for features, the expected elements of a wireless over-ear are present. 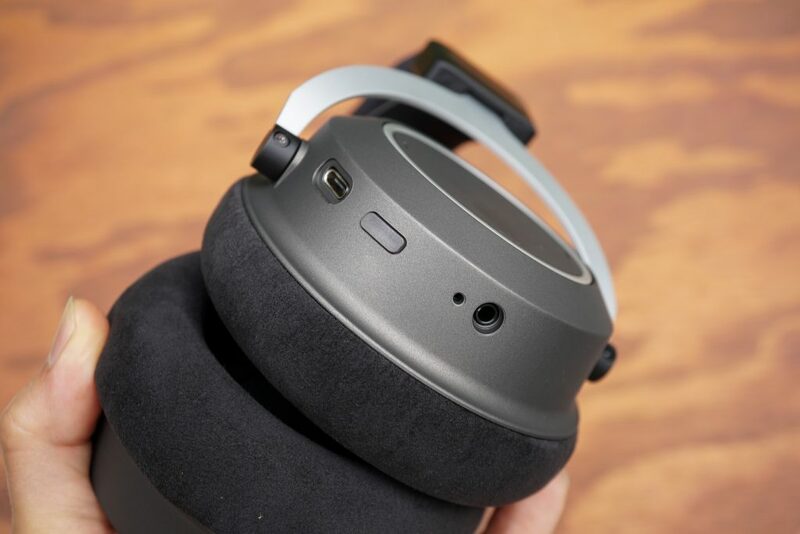 The physical interfaces are bunched towards the bottom of the right ear cup: power button (which is transparent to show the blue/red status LED underneath), charging port (kudos to Beyerdynamic for using the current USB-C standard), and 3.5 mm jack for optional wired listening. That’s not all, though. The flat surface of the ear pad is touch sensitive for various playback controls, a design feature that mimics that seen on the preceding Aventho Wireless. 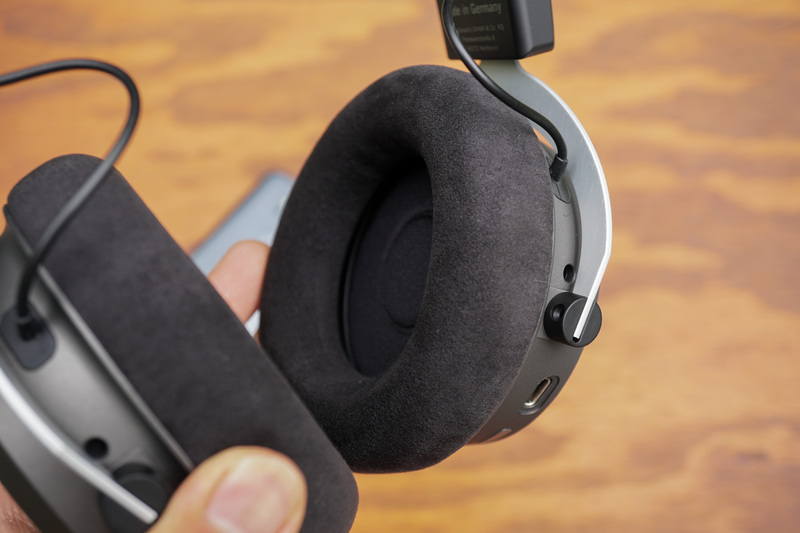 A hefty headphone begs for substantial cushioning, and Beyerdynamic fortunately did not skimp. Both the ear pads and headband are equivalently plump and feel great on the head. The wrappings are a soft fabric rather than leather, making the headphones feel like a pillow encompassing your head. The design successful in making you forget about the heft, and instead, relax in comfort. The thick ear pads also make noise isolation above average. These headphones are wireless but not noise-canceling, so this important attention to detail is appreciated. Getting started with the Amiron is as easy as should be. Long press the power button and the headphones will first boot in pairing mode (flashing the LED blue and red). Then find it in your device’s Bluetooth settings and get playing. You’ll get a vocal indication of battery percentage level at each startup. 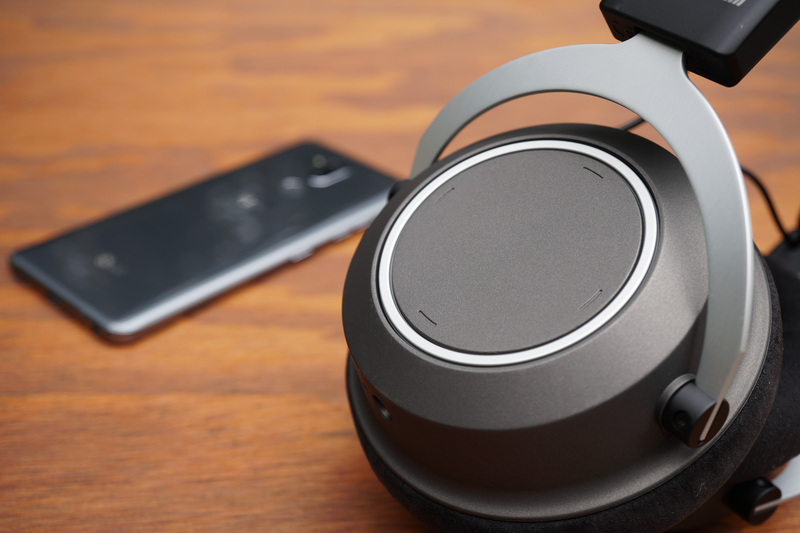 Just like the Aventho Wireless, the playback control is via an inconspicuous touchpad. The touchpad gesture controls aren’t nearly as simple to figure out. The touch response works great, but you’ll have to refer to the manual to learn all the maneuvers. You will catch some of the essentials by sliding your finger across: swiping left and right switches the track, while up and down adjusts the volume. And then double-tapping is how you play/pause the audio. 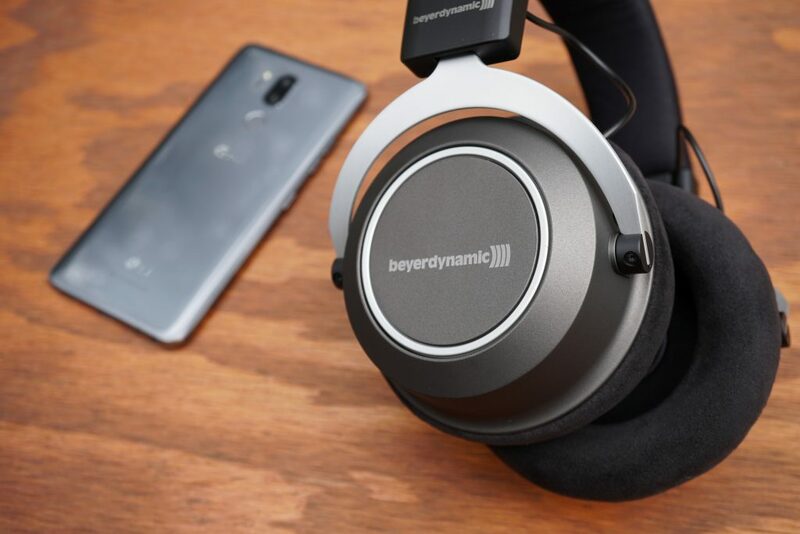 A cool feature that Beyerdynamic has developed for its flagship wireless headphones is sound-personalization software. With the Amiron (Aventho too), you can utilize the company’s MIY app, which runs you through a hearing test in order to tune the output for your specific ears. It’s a neat effort and improves your audio in a more calculated way than just the user making manual adjustments. As for the performance of the Amiron as a wireless headphone, it is rock solid. That is, the battery life has about 30-hour endurance, and the Bluetooth connection was faultless in our usage. 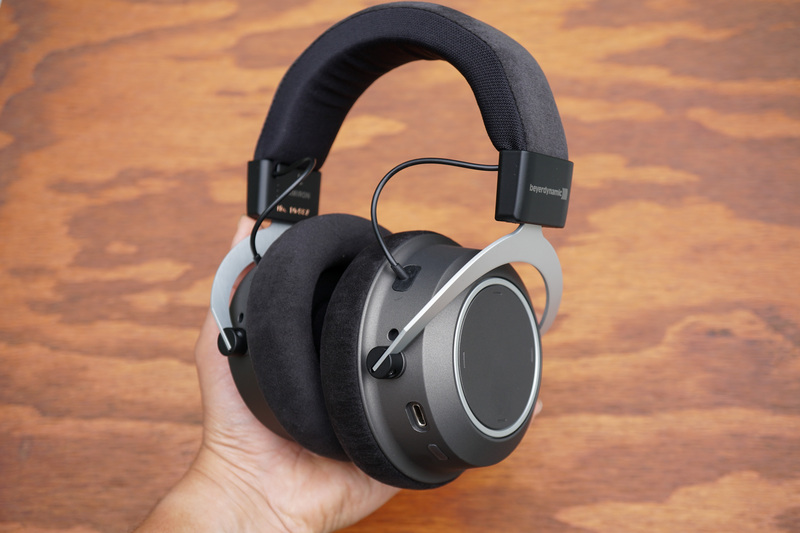 Like the Aventho, Beyerdynamic makes the Amiron Wireless able to accept the higher fidelity aptX HD transmission. For a “HiFi” wireless headphone, we wouldn’t expect to see anything less. That said, at this price range, we would’ve liked to see support for LDAC as well. Sony has the footing on wireless audio bandwidth. Specifically, we’re talking about aptX HD’s 576 kbps vs LDAC’s 990 kbps channel, not a small difference. 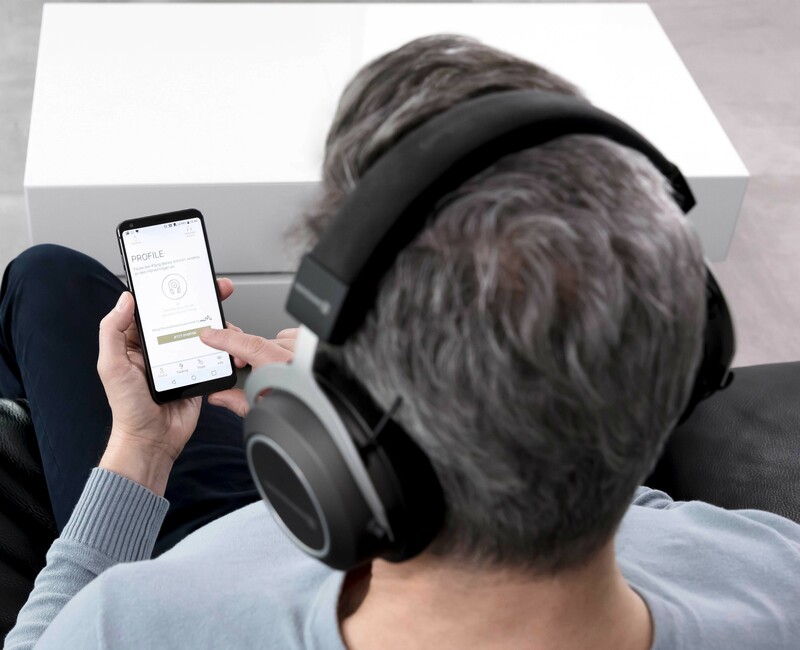 The aptX HD-enabled Amiron Wireless and LG G7 the perfect match. Still, upon first listen, we’re immediately hit with an exceptionally detailed sound (relative to other wireless headphones). A lot what we liked about the Aventho’s signature is present here, and then some. That is, a notably clean/clear and distinctive delivery throughout and punchy energy. However, it’s important to know that while the Amiron’s quality trumps many of the wireless headphones out there, it does noticeably heed to what would be its wired counterparts. You don’t get micro-details or extension, such that a careful ear would pick up from deep bass or crisp highs. But it gets most of the way there. Dynamics are the Amiron’s shining quality, right in line with the general benefit of a full-on over-ear headphone. That is, you get an expanded space around your head, where instruments can display spatial distinction. The Amiron well defines these elements, capable of delivering encompassing symphony that you can get lost in. The crispness from cymbals crash with echoing range and boom of the bass skillfully expands in all directions without overtaking any range. With all this said, it’s not the widest or airiest delivery. Granted, closed-back headphones can’t compete with their more spacious open-back counterparts. But even compared to its own class (especially price class), it’s fairly average, making this part of the Amiron’s sound our least favorite. The Amiron Wireless is no doubt a solid wireless headphone. We love the sophisticated look, extra comfy padding, high-res wireless playback, and the notably dynamic and crisp sound. But we can’t ignore that steep $700 asking price, which shines the light on its imperfections. The headphones overwhelming footprint is kind of counter-intuitive for a wireless “mobile” device. While its build is nice on the surface, in-hand it doesn’t quite feel the price. Lastly, the sound is very much that of a closed-back headphone, not making a valiant effort to past the boundaries like some others.